This is a post from Michael Yudt, NFI's Director of Program Support Services. My third son, Nathanael Wayne, was born on February 18th at 8:25am. When my wife (Kelly) and I went to bed on Friday, February 17th, I was thinking we would awake the next morning just like we do on a typical Saturday. However, this was no typical Saturday. Apparently, Kelly tried to wake me up a couple times at night to let me know she was having contractions. I have no recollection of that whatsoever… I eventually woke up around 4am and had this feeling that I was not going back to sleep. I noticed that I was alone in bed and figured that Kelly must have made her way to the couch, which is typical for her during the last trimester (she finds the couch to be more comfortable). Our youngest son at the time (Joshua, nearly 2) is an early riser and this day was no exception. He was awake shortly after 5am and with the excitement of the day we knew he was up for good. When Kelly’s parents arrived at our house, we finished getting everything together, said our goodbyes, and headed for the hospital. Before leaving, I told our oldest son, Caleb, “Today is the day the baby is going to be born.” He responded with a sense of great joy in his voice: “That’s right, today is the day!” Excitement was welling up inside of me knowing that this was the day we would hold our newborn baby. 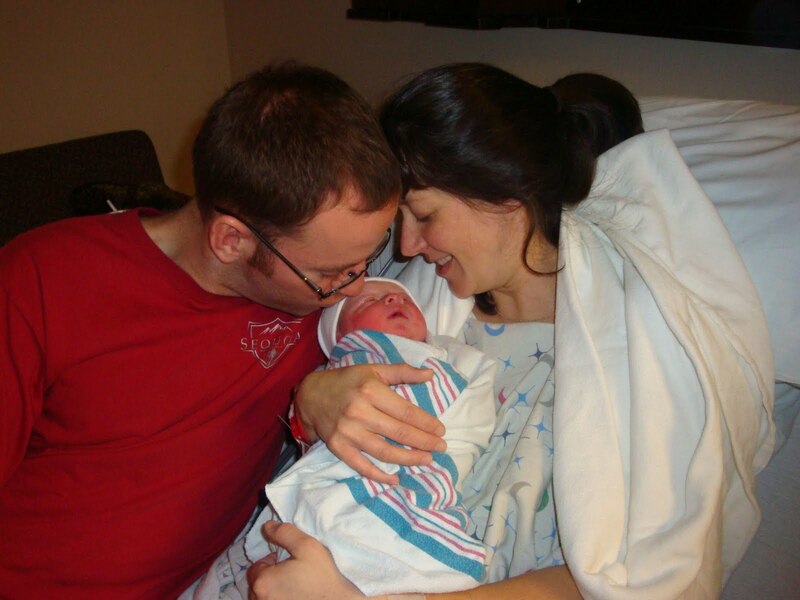 Upon arriving at the hospital, I knew that Kelly was disappointed when we were taken to the triage room, instead of the labor and delivery room. It’s rather funny, but the unspoken truth at the time was we both were hoping for an even faster labor than the rather quick one we had with Joshua (4 hours). With Kelly looking at the clock, I knew she wanted the baby to be born before 8:30am and she got her wish. Arriving at 8:25am, Nathanael Wayne was 8 lbs 7 oz and 20 ½ inches long. However, that’s not what defined him at that moment. When Nathanael first appeared, my wife and I shared his name with the medical staff that were present. Kristin, one of the nurses, didn’t miss a beat in sharing her knowledge of the name when she remarked that Nathanael means “gift of God.” Indeed, that’s exactly what he is and will always be!